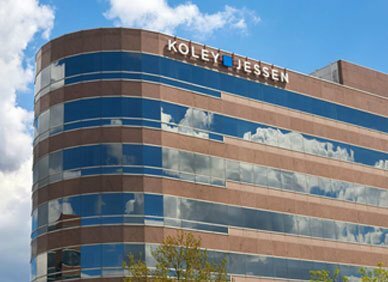 The Best Lawyers in America© 2016 has recognized 16 Koley Jessen attorneys across 18 practice areas. The firm has been noted as a “Top Listed” firm in Nebraska and the Omaha Metro Area with the most lawyers listed in the region for the Mergers and Acquisitions Practice again in 2016. About Best Lawyers - Since it was first published in 1983, Best Lawyers® has become universally regarded as the definitive guide to legal excellence. Best Lawyers is based on an exhaustive peer-review survey. Over 79,000 leading attorneys are eligible to vote, and we have received more than 6.2 million votes to date on the legal abilities of other lawyers in their practice areas. Lawyers are not required or allowed to pay a fee to be listed; therefore inclusion in Best Lawyers is considered a singular honor. Corporate Counsel magazine has called Best Lawyers "the most respected referral list of attorneys in practice."